A Crack in Everything by Angela Gerst is a mystery suspense novel featuring betrayal, politics, real estate and of course murder. Unfortunately Susan Callisto finds herself dragged into the drama of all of these. Susan Callisto is a lawyer and political consultant. After working for a few years with a large firm she decided to go solo. Most of her work relates to a few real estate consultations and consulting on political campaigns. Susan is currently dealing with a former elderly client - Nino Biondi - that refuses to leave his restaurant's rental property and an entrepreneur and political candidate - Roddie Baird, while trying to figure out why her relationship with Detective Lieutenant Michael Benedict fizzled out. She must also deal with a walk-in client that appears to want to run for political office but may have a hidden agenda. Charles "Chaz" Renfrow says he wants to run for mayor to allow his business a fair shake but he's left it a bit close as applications must be submitted within four days. Susan advises him on what needs to be done and briefly meets his assistant, Victoria "Torie" Moran, and his son, Glen Renfrow. As if she didn't have enough to deal with she uncovers Torie's body the day after meeting her and a few days later Chaz is dead. The good thing is these investigations have brought Michael back into her life, the bad thing is that her political client Roddie appears to be the prime suspect. Can Susan figure out what is going on to free Roddie and save his political life? What do these murders have to do with real estate? The more Susan uncovers the more mysteries and betrayals she finds. Can she uncover the truth before she becomes the next victim? There's a lot of drama and action going on in A Crack in Everything. The characters are well developed and even likeable. Regrettably I just couldn't get past the somewhat convoluted storylines. At the end all of the little connections are tied together, but while reading it just seemed like it was a bit much. 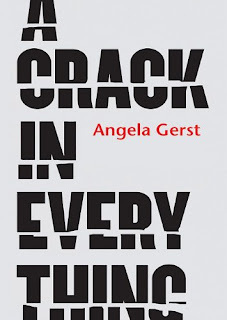 Look for A Crack in Everything to be released on 09/06/2011 by Poisoned Pen Press.